From the 1st to the 12th of April, the Hellenic Air Force (HAF) hosted a medium-sized multinational exercise named Iniochos at the base of 117 Combat Wing in Andravida, home of the Greek Phantoms. In this exercise, the HAF, along with five other participating Air Forces, took advantage of some of the most suitable and at challenging airspace in Europe for conducting large-scale air operations, with a wide variety of air defence systems and a remarkable mix of modern aircraft and ordnance. In 2005, Iniochos was transformed into a medium scale exercise, involving all three branches of the Hellenic Armed Forces. In November 2013, the Single Base Concept was adopted for Iniochos and the selected host base for this kind of event was the 117 Combat Wing at Andravida, on the eastern coast of the Peloponnese peninsula. It was also decided that Iniochos would become an Invitex exercise, meaning that other nations could be invited to participate in the exercise. The duration of this exercise is ten to 15 calendar days and operations make use of the majority of the Hellenic FIR. The Exercise scenario adopts a Single Base Concept (execution of operations from a single Air Base), requiring the participation of all branches of the Armed Forces. The objective is to provide realistic training, which is achieved by creating a complex battle environment. Participating personnel are exposed to an intensive battle rhythm with realistic attrition rates and challenging scenarios, including multiple modern threats expected to dominate in the modern battlefield, to test both the physical and psychological endurance of the modern fighter. Air Interdiction/Special Targets (bridges, power stations, vehicles, etc.). Combat Search and Rescue (CSAR). Dynamic Targeting (DT)/Strike Coordination and Reconnaissance (SCAR)/Close Air Support (CAS)/Time Sensitive Targets (TST). This year’s edition of Iniochos was attended by a wide variety of combat aircraft from six nations. 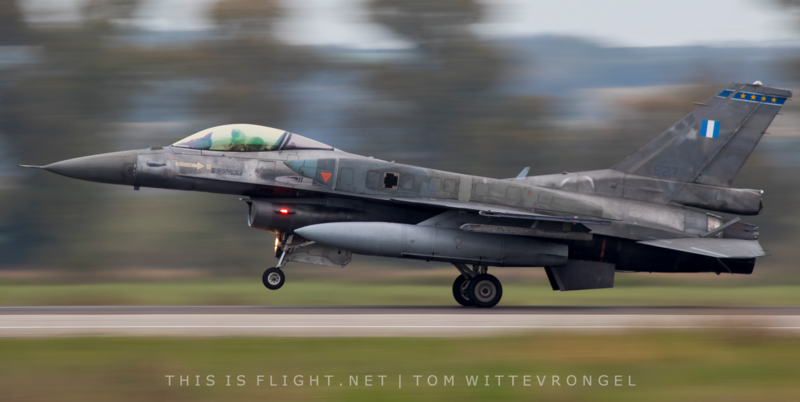 These included indigenous F-4E Phantoms, Mirage 2000s, F-16Cs and F-16Ds, as well as F-16C and D models from Israel, F-16Cs from the United States, Mirage 2000-9s from the United Arab Emirates, an AW139 from Cyprus and a large Italian contingent including the Tornado IDS, Tornado ECR and F-35A Lightning II. 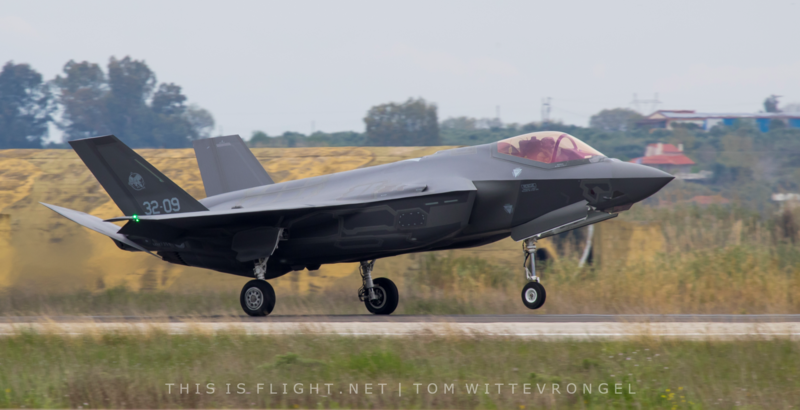 The F-35 was participating in Inioches for the first time. Exercise Iniochos aspires to become the most competitive exercise in Europe and the Mediterranean region, and provide participants with a high level of training as in the major world exercises, such as Red Flag in the USA. Unfortunately, the delegation of the Israeli Air Force left on Friday morning before the start of the media day. To make things even worse, the United Arab Emirates decided to not take part in the mission while the AW139 of Cyprus wasn’t seen yet at the base. This left just the Greek, Italian and American delegation to take part with the missions of the day. 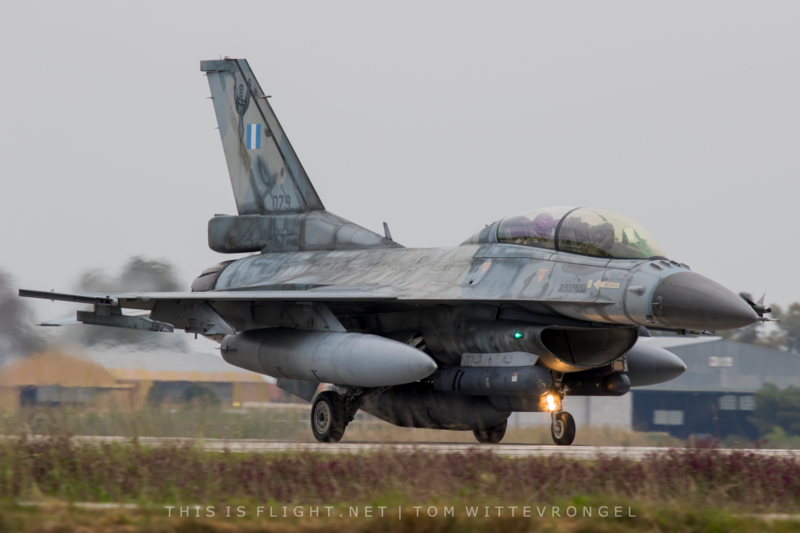 The author wishes to thank the Hellenic Air Force for allowing This is Flight to report on Exercise Iniochos 2019.